We regularly churn our way through a lot of speaker options in our articles, typically looking for low-cost quality products but today, we are going to push the boat out and look at the 10 best bookshelf speakers under $1000 for a peek at what a few extra hundred bucks can give you. At the upper ends of our price margin, the sound level quality is bordering perfection. With the speaker market being so fiercely competitive, most manufacturers pull out all the stops. Typically components will be premium and the research that goes into the technological development of the digital signal processing and enclosure calibration is pretty heavy duty. What to Look for in Bookshelf Speakers under $1000? Are expensive bookshelf speakers worth it? How much to spend on High-Quality Bookshelf Speakers? So to take you through all the bells and whistles of a more luxurious budget we have gathered 10 of the best for a gawk at and highlighted their best features. In an effort to help fill you full of vital info we have included a bookshelf speakers buyers guide to explain some of the ins and outs. On a budget? Try our review of the best bookshelf speakers under $100. Dedicated tweeter to handle the highs. State of the art circuitry. 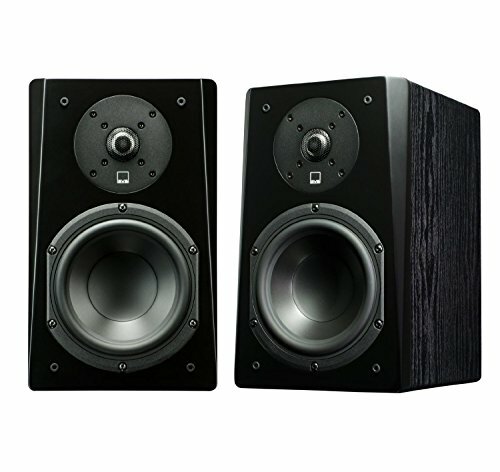 First up on our top ten is this mid-range priced 2.0 set by top manufacturers Audioengine. They have beautiful aesthetics with their smoothed, curved edges, they are very well constructed and beneath their charming good looks lie some impressive custom designed components. Every part is designed and manufactured in-house where possible. Any unavoidable outsourcing is still tailored to at to their strict design specifications to be perfectly fit for its function. Each piece is also seamlessly integrated into the left speaker to be ultra-efficient. The cabinet is critically calibrated for to provide optimal audio clarity for the high-end full range drivers. They feature a bass port to maintain sufficient air flow and to reduce unwanted bass resonance. The amplifier is high quality as is the crossover circuitry. The pre-amp sections are mounted vertically to help protect against mechanical shock and essentially giving further durability to the electronics, ensuring a longer life. They have built-in Bluetooth and stream without wires at an audiophile grade. 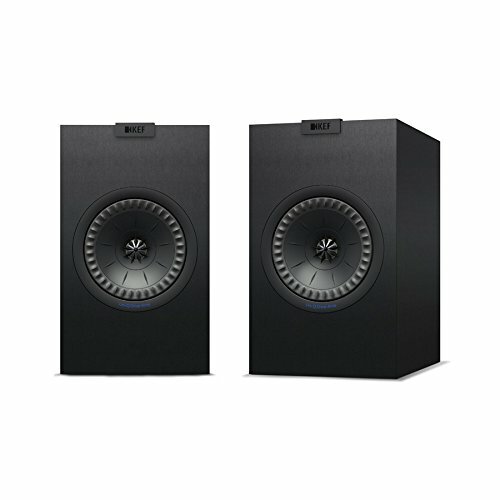 Bass lovers might fancy hooking these up to a sub, but make no mistake despite their classification they are a fantastic pair. Why We Liked It - They have a recommended spacing of 6ft and whilst not everyone is going to have the desk top space for that they really are a top quality pair of fidelity listening speakers. We tend to hear the audiophiles out their unsatisfied with some of the cheaper models we love, this set definitely won't disappoint. The Q100 pair is based on KEF state of the art HF driver developed for their flagship Blade model. They are in essence a smaller version of the well-received Q300s, each feature a single solitary 5.25 patented Uni-Q driver array which has been painstakingly engineered to produce highly accurate 3 dimensional sound. Nestled in the heart of the array is a larger dedicated aluminum dome tweeter with increased sensitivity and great power handling. The main driver cone is a magnesium/aluminum alloy composite. 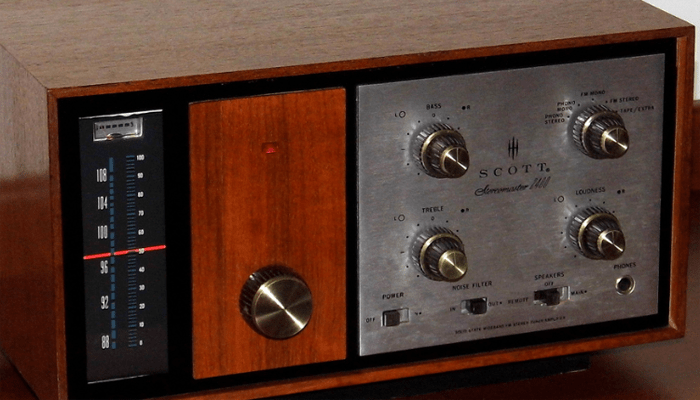 It is exceptionally rigid and copes swiftly with full balanced stereo mids. The surround is made from their proprietary Z-flex material to help dampen against distortion. Each speaker stands just below a foot tall making it an aptly suited size for a bookshelf speaker. They require 10-100 watts of amplification power. + Dedicated tweeter to handle the highs. + State of the art circuitry. Why We Liked It - The combined array effortlessly copes with a wide frequency response, they perform superbly under pressure and are built to last. 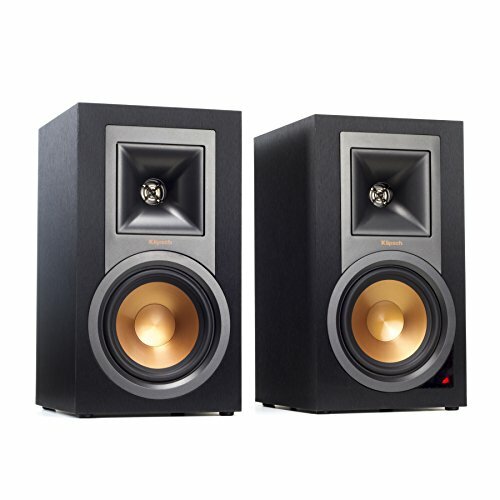 The SVS Prime set are a premium set of bookshelf speakers designed for 2-channel purists. It is one of the finest built in its class and price range. They are of a compact nature, well-designed and expertly crafted. They make an awesome foundation for any surround system set-up and serve up world class performance. The cabinet was precision machined from plans which were FEA and CAD optimized to reduce tweeter diffraction and a natural uncolored sound. The bass is ample as a standalone though these are intended to be part of a larger sound system set-up. 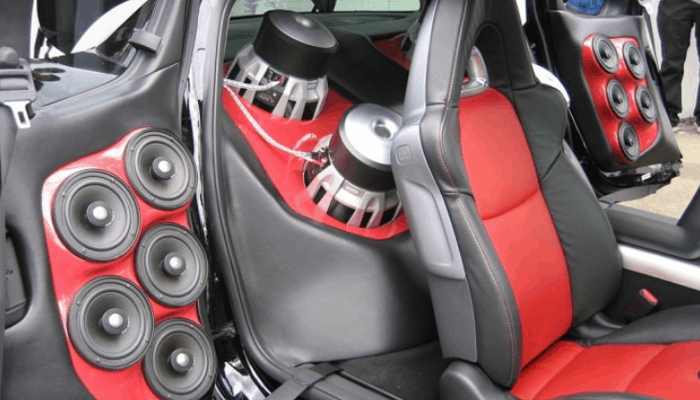 The 6.5-inch woofer is mounted within its own sealed compartment the cones are rigid but lightweight. The lightweight, super-rigid aluminum dome tweeter and its diffuser provide high sound pressure levels without distortion. The Prime set shares the same sophisticated circuitry and premium quality drivers from the Ultra line, the 2-way crossover being the keep ingredient. The patented SoundMatch crossover features premium grade capacitors air-core conductors and heavy trace printed circuit boards which yield lower distortion and better heat dissipation. Why We Liked It - The high end manufacturing maintains optimal on and off axis response they sound pristine and are priced in the middle of todays price range making them fantastic value. The LS50 is one of KEFS 3 main flagship speakers along with the renowned Blade and Muon. It projects hyper-realistic soundscapes. It features the same amazing Uni-Q Driver array set-up which was first designed for the Blade model. The revolutionary design concept, as we previously divulged basically seats the tweeter directly in the middle of the mid-range driver for a much wider radiated dispersion. The Uni-Q array is nestled in a Z-Flex surround, which is not only a groundbreaking composite but adds to the unique aesthetics of the pair. Whilst we are on the subject of looks, the curved baffles are sleek and modern and they come in four different color choices, each visually stunning offset against the visible drivers. Their artful designs are actually a culmination of technological advances wrapped in a functional design that just so happens to be beautiful to the eye. 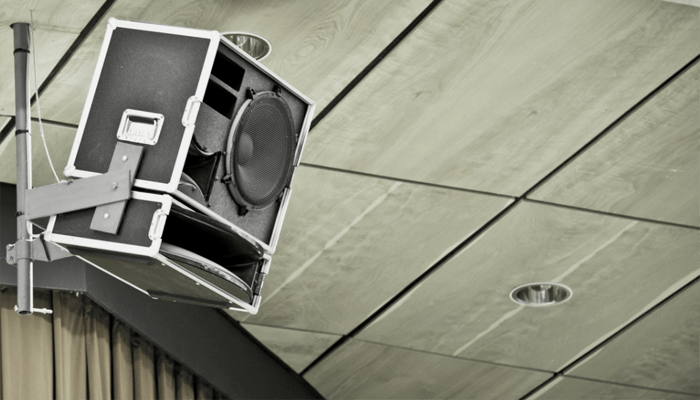 They have a good mid to high-frequency response, have a max decibel level of 106, and require amplifying power somewhere between 25 and 100 watts. It is exponentially smaller than the other flagship models, being a mini model but packs an incredible punch. + Fantastic Uni-Q driver array. + Lush high fidelity audio. Why We Liked It - They provide remarkably clean sound, The crossover is seamless and the audio is very widely dispersed despite their compact nature. 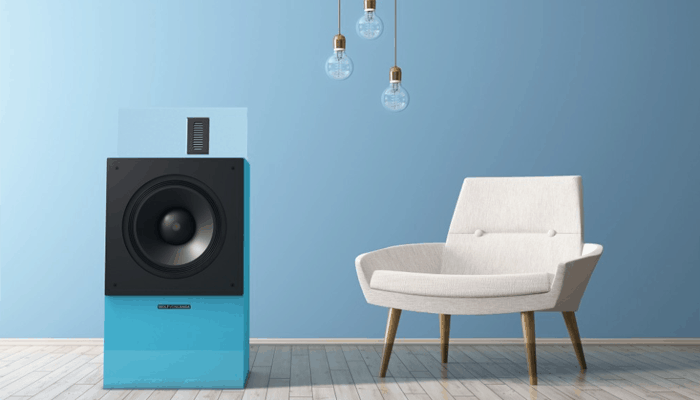 Their price fluctuates and sometimes they are available just below the $1000 mark, though in our opinion they compete with speakers in the region of $1500. If the SVS price didn't bowl you over, here is their next level bookshelf speakers the from their Ultra line. Every feature on the model has been specifically designed with optimal sonic purpose at the core, from its baffles tasty tapered edges which not only look stylish but help minimize diffraction immensely to its separate sub-enclosures that optimize driver performance enormously. The 6.5-inch mid-bass drivers contain composite glass-fiber cone, that has a very sensitive response and is rigid enough to handle durable under pressure. They provide flawless low-end thanks to their excellent enclosure design. The tweeter is a highly efficient 1-inch aluminum dome tweeter which provides crisp, smooth audio clarity. The 2-way crossover circuitry is enhanced by SVS's patented SoundMatch technology an expertly refined topography that allows for highly accurate pinpoint imaged phase coherency. All of the parts are top notch, premium capacitors and heat dissipating components help efficiently cool the tweeters whilst they work. 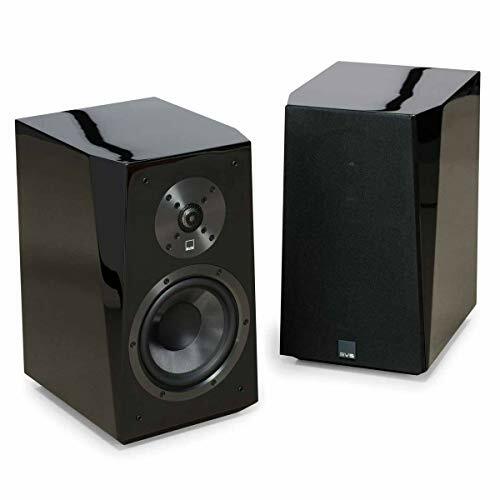 Between the drivers they have a pretty generous frequency response between the two but are once again intended to be part of a larger system, so don't expect too much for the bass (it is however extended in terms of most 2-way speakers). + Highly advanced crossover circuity. Why We Liked It - They perform outstandingly well, the premium grade parts are put together following a tried and tested computer aided design, which all add up to an impressive pair that handle superbly, delivering immaculate audio. Now for a look at a less extravagantly priced option, which still benefits from all the knowledge of an award-winning heritage. 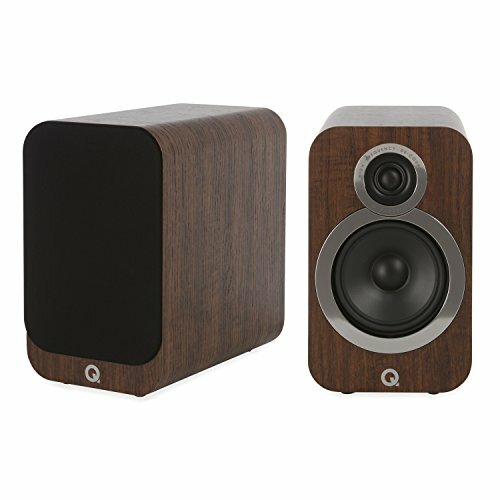 Q Acoustics have somehow managed to design and fabricate a delectable pair of bookshelf speakers that expel perfectly balance high fidelity room-filling sound without sacrificing on the aesthetics. So you can get a beautiful set which comes in 4 different colors, that have stunning sound to match their charm and all for a low price that rivals many of its main competitors. The 3020i set is around 25% bigger in height and depth than the previous model, for larger scale sound and better bass resonance. They enclosures are highly durable with their newly improved structural integrity. Q-Acoustics have actually opted to move away from conventional terminal cutouts, choosing low profile binding posts instead. They feature a new mid/bass driver and decoupled high-frequency driver with a very wide surround for an extended dispersion field. The tweeter being decoupled from the baffles means there is less risk of interference. They incorporate a PRP (point to point) "bracing" system, which helps keep the enclosure noise free for a more accurate sound. + Mid/bass driver with dedicated decoupled high performance tweeter. + Extra deep enclosure for extended lows and impressively large scale sound. Why We Liked It - Any cone noise which is reflected from the back of the enclosure is less likely to interfere as it is deadened by the enlarged front-to-back dimensions of the deep enclosure. The sound is unbelievable and so is the price-tag. 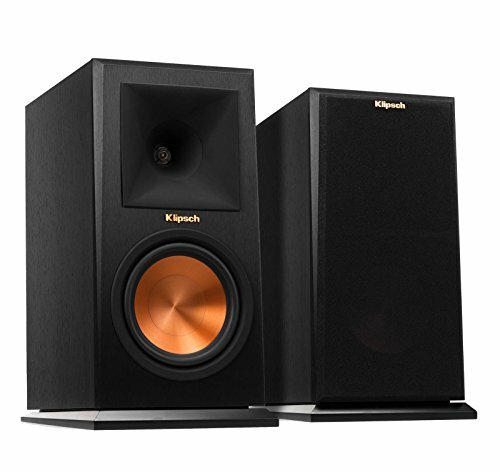 Hot off of the esteemed Klipsch Reference Premiere line are these inspired bookshelf speakers which are the culmination of Klipschs decade of expertise in engineering and some pretty cutting edge tech packaged in contemporary compact cabinet full of high end features. They are ported using a newly fabricated Tractrix port, named because it borrows its shape and efficient air transferring capabilities from Klipschs novel Tractrix horn. The woofers are 6.5 inches and composed of spun copper and a ceramic-metallic composite. Its make-up ensures exceptional rigidity for a minimal break-up. They feature a redesigned version of their noteworthy 90 x 90 Tractrix Horn which employs a circular horn paired to a square horn mouth for an extended high-frequency response enhancing dynamics dramatically. It is formed from compressed molded rubber which also dampens along the way creating the cleanest sounding audio possible. Deep inside sits a Linear Travel Suspension tweeter forged of titanium. They have a peak power handling of 400 watts per pair. + LTS tweeters Tractrix Horn. Why We Liked It - Despite being made for a larger set-up these guys hold their own impeccably well, although we would suggest mounting as part of a 2.1 system to get a little lower bass. The proprietary Tractrix technology disperses sound and deadens unwanted vibration to keep the highs crystal. For an alternative compact option that really does deliver a scale of sound reproduction that is completely contradictory for its physical size. 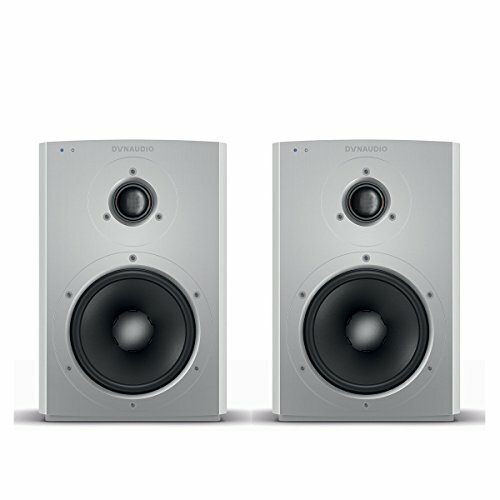 They are built by Danish manufacturers Dynaudio who have quickly made quite a name for themselves in the wireless speaker industry. They provide a high fidelity streaming experience which many Bluetooth speakers do not adequately provide in terms of quality. The cabinets are formed from a molded composite with an aluminum baffle. They harbor a durable, ultra-rigid coned 14cm Mid/Bass driver, which is paired with a high-performance 28mm tweeter. The array is fairly typical but within the circuitry board and digital signal processing Is where this pair truly shines. They utilize true time coherent phase linear FIR filters, power optimization and Adaptive Bass technologies to extend lower frequency response and improve crossover fluidity. They have digital optical and analog hookups, and also have the same modern connectivity advantages as their larger companions, with their Bluetooth capabilities. 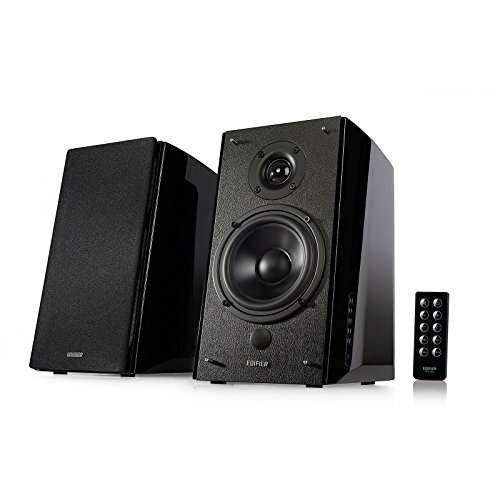 They sync with or without a Dynaudio USB hub, are easy to use and also come with a handy remote control. Why We Liked It - They provide wireless streaming abilities but project audio with an optimized high end sound. If the Klipsch we reviewed above is priced out of your range, or you aren't looking for a system set-up, fear not as Klipsch make a great range of powered speakers. The R-15PM are a fantastic pair that deliver full rich sound with high fidelity they are affordably priced and don't need a receiver. Each speaker features a 1” aluminum diaphragm compression driver mated to a proprietary Tractrix horn which expels air more rapidly as the circular hole becomes square along the way. With the highs taken effectively care of, the mid/bass is dealt with wonderfully by its 5.25-inch copper spun IMG subwoofer which is shielded. They have ultra-low noise amplifiers and have been custom engineered to optimize sound quality They are extremely well crafted and make for a high performing set of speakers. The versatile connectivity options include wireless Bluetooth, digital optical inputs as well as analog RCA, and USB. + Built in Bluetooth capabilities. Why We Liked It - They are an affordably priced powered option that provide sublime audio and are among some of the best in their class. Last in todays reviews and the lowest priced product of the lot are these impressive Edifier bookshelf speakers. We have included them because we honestly feel they are par with some of the much more expensive speakers out there. 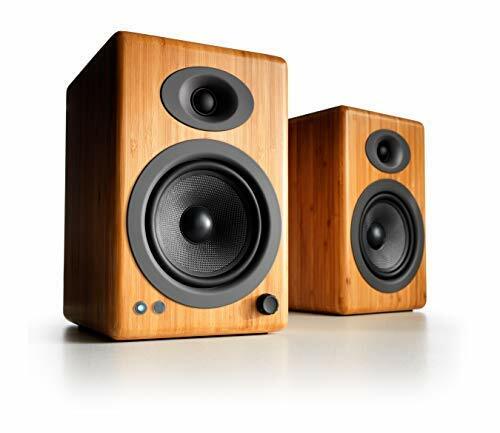 Perhaps we have a soft spot we recently featured these babys in our 10 Best Bookshelf Speakers article. They too are a powered pair with Bluetooth connectivity as well as digital optical, coaxial I/O like the Klipsch reviewed above. 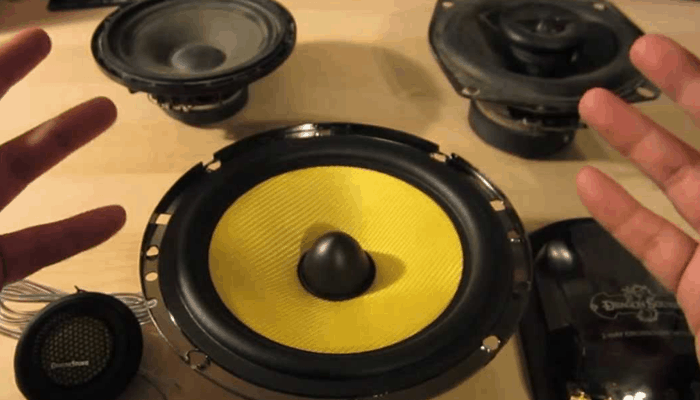 The dedicated bass driver is a 4” composite cone woofer, this produces deep bass. The highs are taken care of by its 13mm silk dome tweeter with a cutting edge digital processing circuitry to enhance the crossover to provide top quality audio that is natural sounding and well defined. The cabinet is ported and benefits from the same accurate calibration and all of the popular design aspects featured in Edifiers best selling lines. They feature easy access side panel controls located on the active speaker as well as a useful remote. They have a wide frequency response and low impedance. They have a peak RMS of 42 watts combined. + Optical and coaxial inputs. Why We Liked It - They come in at round a quarter of our upper budget restrictions which given the quality of the parts, great craftsmanship, advanced DSP and efficient design concept is mind baffling. Any set of bookshelf speakers priced around $500 plus should be offering up some pretty delectable audio. There shouldn't be an issue with max volume levels as we can find ourselves subjected to cheaper models. The enclosures should be carefully constructed with methods in place to prevent any buzzing or distortion. They should feature venting of some form to ensure bass clarity, though typically bookshelf speakers will deal with mid-bass regions rather than extended low frequencies. This is because Bookshelf speakers usually come for 2.1+ systems, though many can stand alone if proper measures are in place to optimize the bass response in a smaller enclosure. One way manufacturers do this is to opt for the widest surface area possible for the cone diameter. Sometime they will have a bass enhancement in the signal processing circuitry. 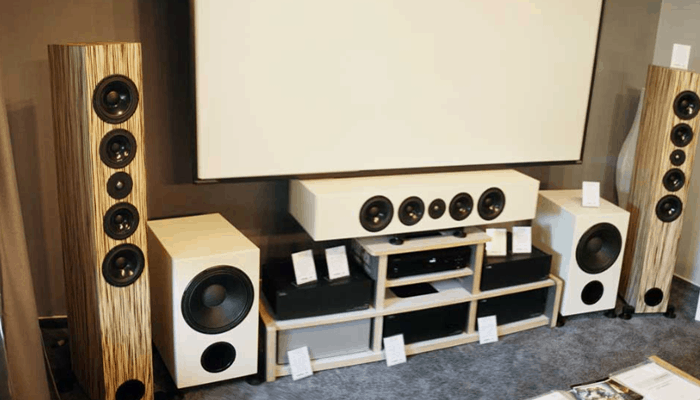 Ideally, though, you will want to pair your new bookshelf speakers with a worthy subwoofer at the very least. All components should be premium and high grade. The more cash you part with the lower the impedance should be. You will also find with higher-end models that a lot of the onboard features will be patented technologies born out of hours in the research and developmental phases of production. You should also find some of the enclosures pretty darn attractive in a range of option too. Yes, it is paramount to understand that with audio electronics you literally get what you pay for. 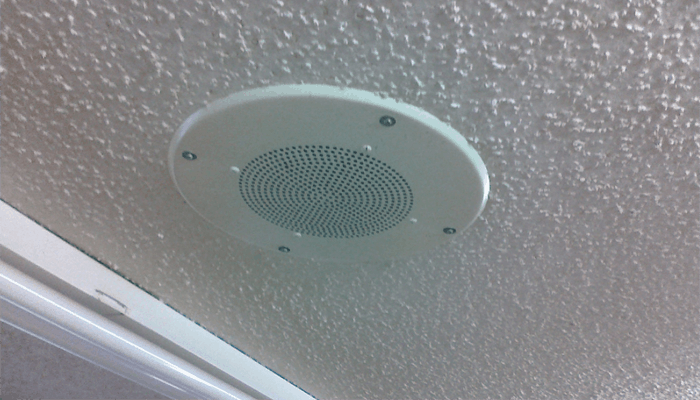 A speaker is a relatively simple device, it is a transducer that functions utilizing a magnetic field. They aren't very difficult in principle to make, but to get them suitable for dealing with a wide frequency range and accurately reproducing audio that genuinely sounds realistic, is another kettle of fish. Expensive speakers have a heavier price tag because they have to account for the time dedicated to the product conception. Every component on a high-end model will have been thought about and made from parts that can do the job just a little bit better than regular ones can handle. They will contain refinements to principles of how a traditional speaker works. 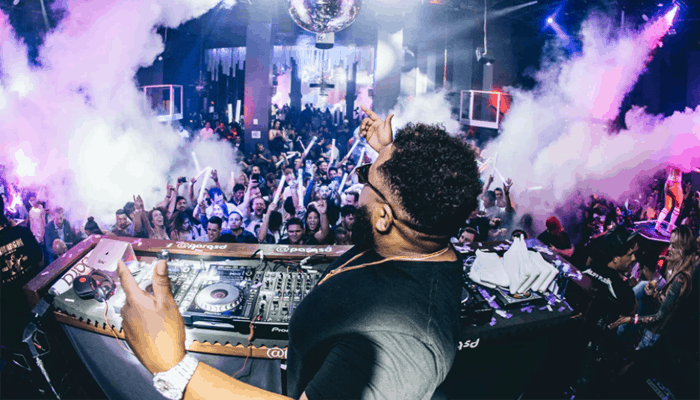 Due to the years of research, we know several things that get in the way of producing pristine audio, by effectively combating the distortion risks on more than one front, top manufacturers manage to provide noise-free audio. 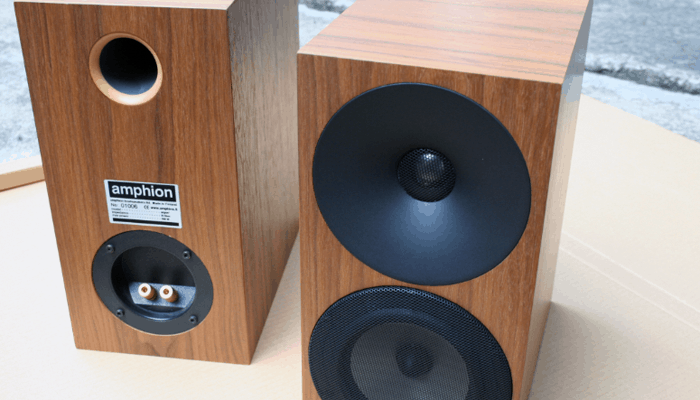 For high-quality bookshelf speakers, you should be prepared to part with amounts in excess of $350 dollars though real audiophiles will like be looking above $500. The majority of those we have reviewed in this article make for an amazing addition to most surround systems. Some of the more expensive models work adequately enough alone for a 2.0 set up. 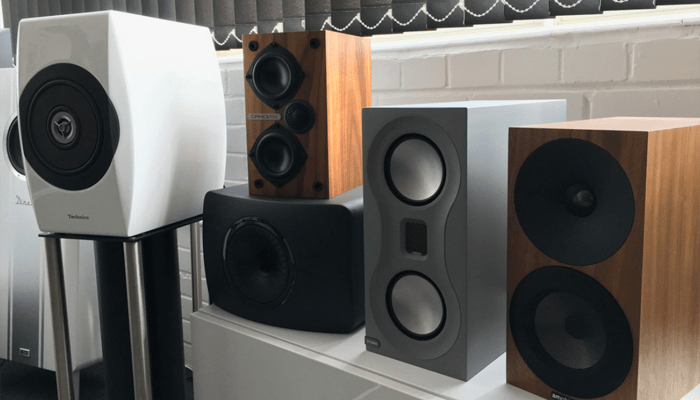 If you are fortunate enough to be in a position to invest heavily in a premium pair of bookshelf speakers, then in this modern day and age you will find yourself spoilt for choice. Companies are taking production to the next level as they compete with one another for the best seller spot. At the higher end of our $1000 budget, you shouldn't find a disappointing product among the lot. The enclosures, cones, drivers, components, and circuitry should all be expertly designed with distortion free audio in mind. We have reviewed 10 of the top bookshelf speakers and they represent the best dominating the current market. 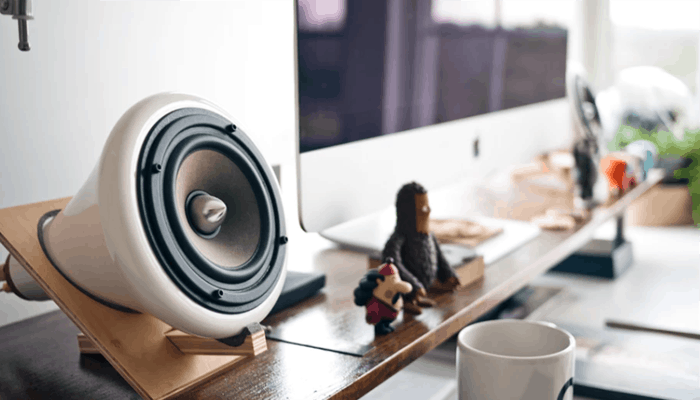 If you are just window shopping, with a budget nowhere near these beauties you might be surprised to see what is available try our 10 best bookshelf speakers under $200 article. Most of those we have reviewed are part of a larger surround if you are starting a system or looking for a complete overhaul it is always worth checking the rest of the series out. They generally hook up much more easily and ultimately work more smoothly in unison as a unit.